Well I want to get this Christmas week started off with a preview to debut author and Seeker par excellence, Ruth Logan Herne…but I’ll call her Ruthy, so long as she doesn’t mind. No worries, she’s sure to keep me in line if I’m out of it. Now, besides being a brilliant author, top-notch Seeker, queen of sassy talk, and excellent cook, Ruthy is also the mother of 6 – which has no doubt contributed to her sassy talk and great sense of humor. 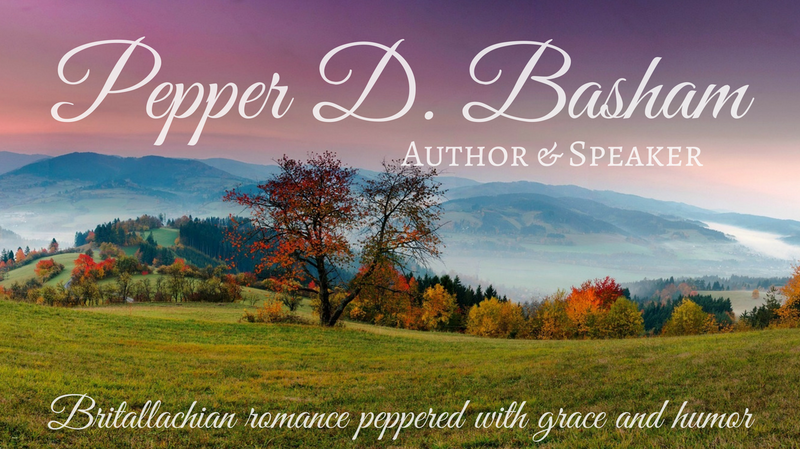 I am thrilled to have her as my guest today and even more excited to introduce her writing to any readers who stop by this site. Her first book, Winter’s End, comes out in March 2010 and has a lovely cover, don’t you think? And, have I mentioned she’s giving away a copy of this book to a lucky commenter today! Make sure you leave your email address in the comment section and she’ll send you a gift certificate for her novel so you can pick it up as soon as it graces the bookstores! On the heels of the publication of Winter’s End comes her second book, Waiting Out the Storm, in July. And yes…there’s more. Made to Order Family comes out in September. Thank you for asking me to contribute a scene to your fun blog where a slightly crazed mother of a big family works to leave her mark on the world through the written word. Returning home to care for her dying mother, an abuse survivor faces the wrath of the husband she abandoned and the teacher who stole her innocence. 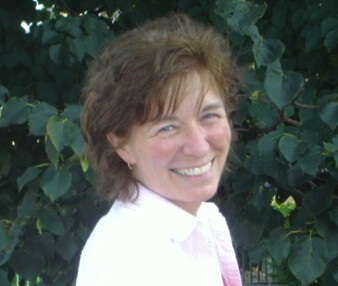 Anne Kellwyn has a secret. It’s cost her everything to keep it, including her marriage. Now she may have to pay an even higher price to reveal the truth, but is she too late? Chief of Police Cade Flanigan takes his position seriously. A lead-by-example Christian, he’s challenged when his ex-wife appears with another man’s child after eight years of silence. Anger and pride challenge his Andy Griffith lifestyle, driving him out of his comfort zone. Can he reconcile the past in order to ease Anne’s future? Quick tears filled Anne’s eyes. She hadn’t been able to glance at her mother’s room all day, knowing how she’d react if she let herself ponder the holidays missed, the time lost because she’d run off. God, why am I such a chicken? Why don’t I have the courage to do what needs to be done? To face Ted Burnett and report his actions. Am I that worried about my own image, my own part in this whole mess? Help me. Please. “Miss Garlock is very smart.” Anne made a note to thank the Sunday School teacher. Her simple explanation made sense to Kyle. Shoot, it made sense to Anne in a time where not too much had made sense lately. “Grandma was tired.” Kyle’s voice said that made sense. Once she’d tucked Kyle into bed, Anne curled into her mother’s favorite chair and cried the tears she’d held back. She cried for Kyle. For the grandfather he never knew, and for the father that chose to ignore his own child. For her mother, the time lost and the memories she cherished. For Cade, a man whose impenetrable armor was pierced by her sinfulness and fear, her lack of courage. Anne laid her head against the wing-backed chair, a fistful of tissues pressed to her face. Her heart thumped, haphazard. Remember the woman who touched the hem of my garment? She found what she needed. Her faith healed. I am with you, always. I won’t let you fall. Reach out, Anne. Trust in me with your whole heart, your whole soul. I am the Alpha and the Omega. The beginning and the end. The hem of His garment. The words echoed in Anne’s brain. I am with you always, the Alpha and the Omega. Tentative, Anne reached forward, imagining that poor woman, a woman who’d bled for years, always tired, always worn, reaching out for love. For healing. Her trust pushed her through the throng where her faith saved her. A gentle peace coursed through Anne, blanketing her. Her fingers moved. She imagined the courage of that woman, working her way through the crowd, ignoring laws that restricted her contact with Jesus, her belief urging her forward. From faith comes courage. Anne reached for her mother’s Bible, its worn cover dulled with dust. She grimaced at the simplicity she’d missed all this time. Your word, O Lord, imprinted on my soul. Together, we can face anything. Why hadn’t she seen that before? She’d run, she’d hidden, she’d cowered in shame when all the while God reached for her, forgiving her. Loving her. Her mother’s words rang true. God had issued forgiveness long before Anne was ready to forgive herself. It was time. Swiping her eyes, Anne made a decision. There would be no more running, no turning back. She would do what had to be done, no matter what. Ted Burnett was evil. She’d faced that evil as a child, her youthful emotions preyed upon to satisfy his lust. It was time others recognized the danger. Guarded against it. She’d meet with the sheriff once Kyle was in school. Spill it all, then deal with the aftermath. Going public would be brutal. People who merely disliked her now would hate her for bringing Ted down. With so much time passed, there might be little to be done. But at least the information would under public scrutiny, Ted’s evil revealed. Parents would be more watchful. With heightened awareness, Ted should find it impossible to take advantage of another young runner. Maura’s words resounded in Anne’s ears. “Right is right.” Regardless of outcome, Ted Burnett would find a different adversary in a court of law than he had in that sun-dappled autumn wood. Oh Ruthy! Thanks so much for giving us this preview to your writing and this story. What a powerful novel and scene. All of us also lived among them at one time, gratifying the cravings of our sinful nature and following its desires and thoughts. Like the rest, we were by nature objects of wrath. But because of his great love for us, God, who is rich in mercy, made us alive with Christ even when we were dead in transgressions—it is by grace you have been saved. God came down. To earth… not only to earth, but a teeny, tiny little town in an obscure place called Bethlehem. He came to earth, wrapped in flesh, and lived. The Creator of the stars, came to be born underneath them. The Maker of mankind humbled himself to become a helpless, dependent infant. He came to earth to die for us. Jesus lived a sinless life and his reward? Death on a cross. A hideous death reserved for the worst criminals. He died, taking on the curse of our sin, so that we would no longer have to carry the curse. Instead of curses, we have blessings. His blessings. He came to earth to conquer for us. Death has no victory over Christ. Because of love, and the power of God, Jesus conquered death for our sakes. We no longer die, lost for eternity. We have the promise of resurrection in Him. In other words – He came…He died….He conquered. Now we can truly live, because of Christ’s ability to fully obey God in His life. Our example and goal. Our help when we can’t live perfectly. And even if we die, Christ has conquered death, so we can rejoice in the resurrection He provides for us…the future hope. It all started in a manger over two thousand years ago in Bethlehem. Love came to earth so that we could come to Heaven. Lovely, powerful scene, Ruthy! I can’t wait to read Winter’s End! Pepper, thanks for having Ruthy today and for the beautiful reminder of God’s grace through His Son Jesus. Excellent story, Ruthy! I can’t wait to read it. I hope you sell this one soon! Pepper, thanks for sharing today. I always love your message! “A Year of Ruthy” — I can hardly wait! 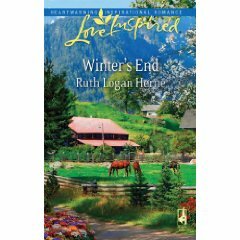 I’ve read Winter’s End in it’s manuscript form, so know that readers are in for a fabulous treat with THREE Ruthy originals this year! Congratulations, Ruthy, and welcome to the Steeple Hill Love Inspired team! Morning, gals, and thank you and bless you for stopping in and touting Winter’s End, due out in March of 2010. I love a good romance. God wouldn’t have made love and marriage so doggone appealing if we weren’t supposed to think on it, and being a girl, YES!!! I dwell on it. Thanks for being my guest and, as usual, thanks for bringing Seekers over for a visit. Your whole personality lights up the page, Ruthy. I can’t wait to see what God’s going to do with your writing. Janet, Missy, & Glynna – so nice to see you here. Thanks so much for the kind words. God is so GOOD!! What a touching scene, Ruthy! And WOW–3 books coming out in the course of a year!!!! God does answer prayers in a HUGE way, doesn’t He? Loved your devotional today, Pepper. What a timely reminder as we begin Christmas week! Hi Ruthy and Pepper. Great scene. If I was a crier at ALL I’d be weeping now. Love what you’re doing here, Pepper. I cannot WAIT for the book to release, Ruthy. To make Mary WEEP uncontrollably. Without either one of us having to die to accomplish the goal. Is that what you get when you give life to 6 young’uns??? LOL! Go get’em, Ruthy!! I’m so proud of you!! Hey Pepper, great devotional at the end of each and every post. Did you have 6 children, too? I can’t claim the wisdom and sassiness of Ruthy. No way. No comparison. But…I have been pregnant 6 times and have 5 still with me – so… constant busyness is a similarity Ruth and I have. The Year of Ruthy! I love it! And what a wonderful excerpt! I can’t wait to read her book! Thanks so much for sharig!! Pepper, I loved your devotional as well. In the hurriedness of every day, I don’t take the time I should to creep off and pray. With little ones I can offset that by bringing God into lessons, praying with them, and I’m constantly ‘thinking’ prayer. The old HS is a good one for smacking me upside the head, tweaking me with nothing less than a baseball bat at times. But I love devotionals and will have to make your place a habit, to stop in and pray, heart and soul. Audra, hey, I’ve got tenants lined up for your cozy Island Hut darling, if we can like speed things along??? Get your bags packed, you never know when the boat for the mainland has a seat with your name on it. And Pepster, that goes for you too. I’ve seen snippets of your work, and those contest finals are nothing to sneeze at. My experience in chatting with Melissa and Tina and Barb Scott about new authors? Be MORE THAN READY to make suggested changes. Editors have to deal with egos the size of well,… egos. So if they suggest something, make the change and resubmit. Smile and nod. More authors lose their cherished spot by being churlish or stubborn than we can imagine. Willing hands and a spirit that embraces the editor’s vision, at least until you’ve become Debbie Macomber or Nora. Sherrinda, doll-face, how go’s it????? Yup, Pepster and I have been hangin’ out, drinkin’ brew, bemoaning the fates of motherhood vs. sainthood. Every mother should be sainted. I’m so glad God made prayer something you can do anywhere. As you well know, quiet time doesn’t come in spades for moms, so a heart that is in constant prayerfulness is a great thing! !